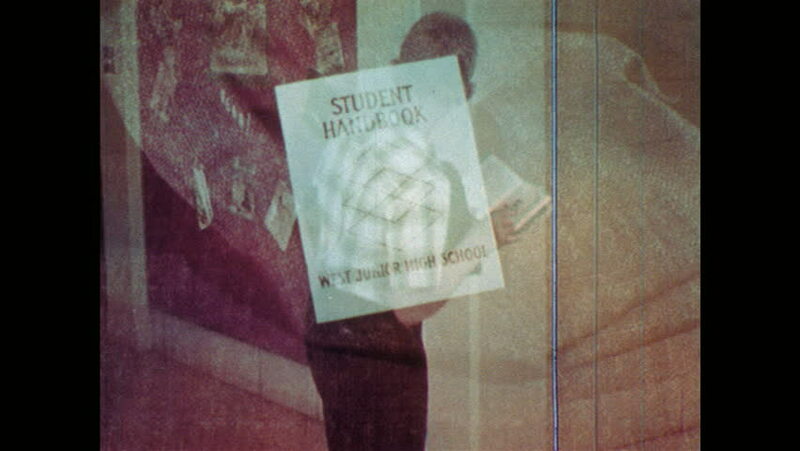 1960s: Junior high school handbook sits on blanket. Man places magnifying glass over handbook. Students walk around school, file through doors, enter and exit room, sit on bleachers. hd00:15TEHRAN, IRAN - FEBRUARY 12: Former United States Embassy in Tehran, currently used as a museum on February 12, 2015 in Teheran, Iran. hd00:191970s: Books on shelf. Close up, man talking. hd00:271960s: Students walk into storage room, boy puts gym clothes into bin. Teacher hands students papers as they walk into classroom. Students sit at desks in class, raise their hands.